Oh, Glasgow you little stunner you. 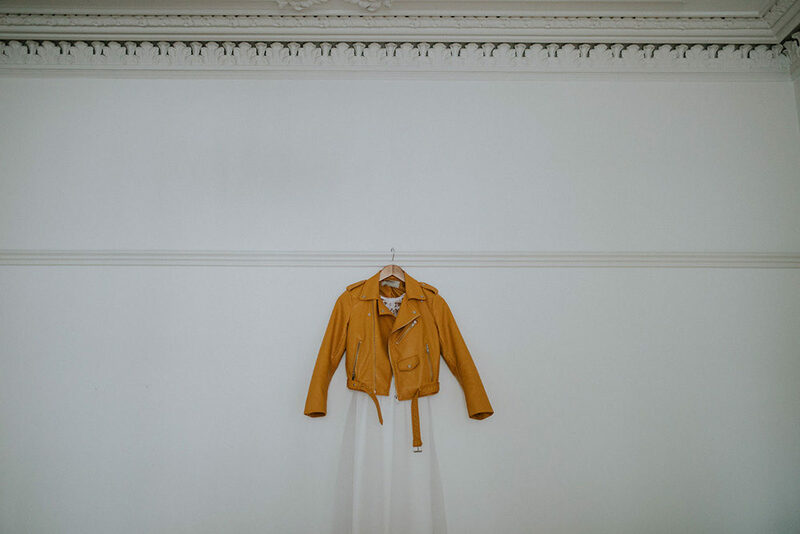 As a City packed with creatives I am not surprised that this couple tackled the decor and stationery themselves but how extra special that the bride’s friend made her dress and the groom’s sister made the cake! Loving that! 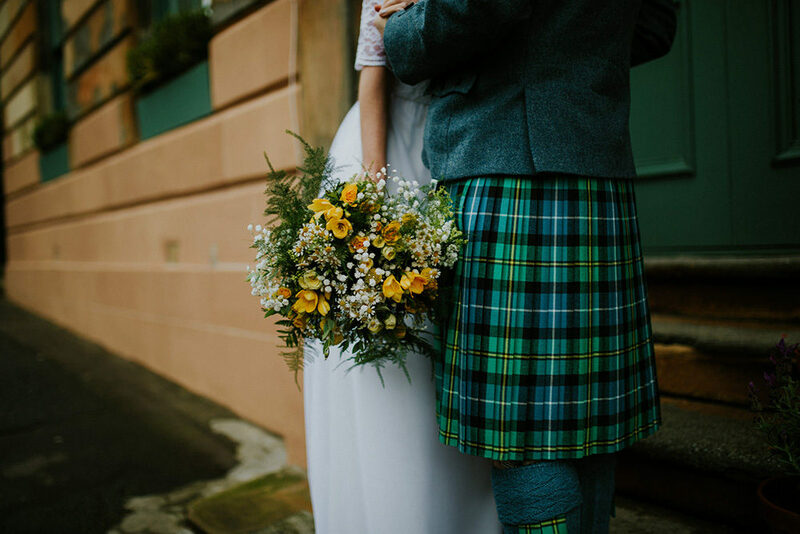 Glasgow is the perfect backdrop for those outdoor images. Regardless of the weather, the West End is always striking with stunning Victorian architecture. 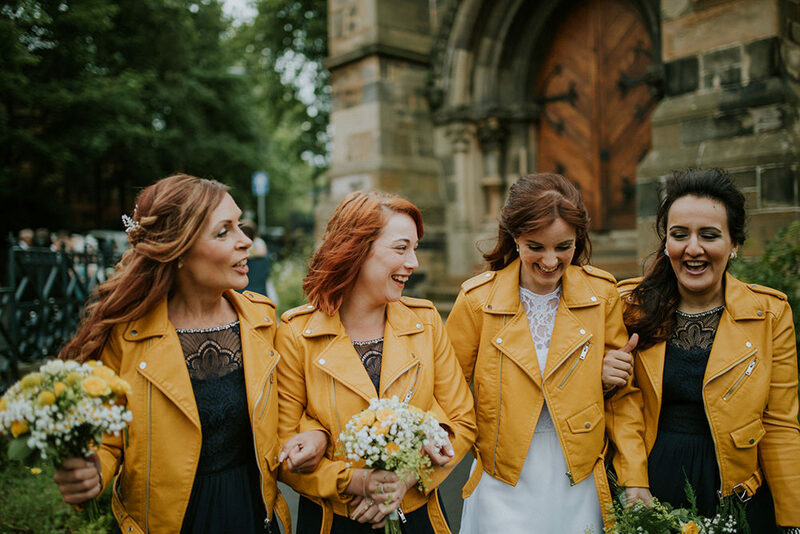 The colour pop of yellow in the Zara jackets in this wedding compliment the buildings in the images and must have worked wonders in that Glaswegian weather. 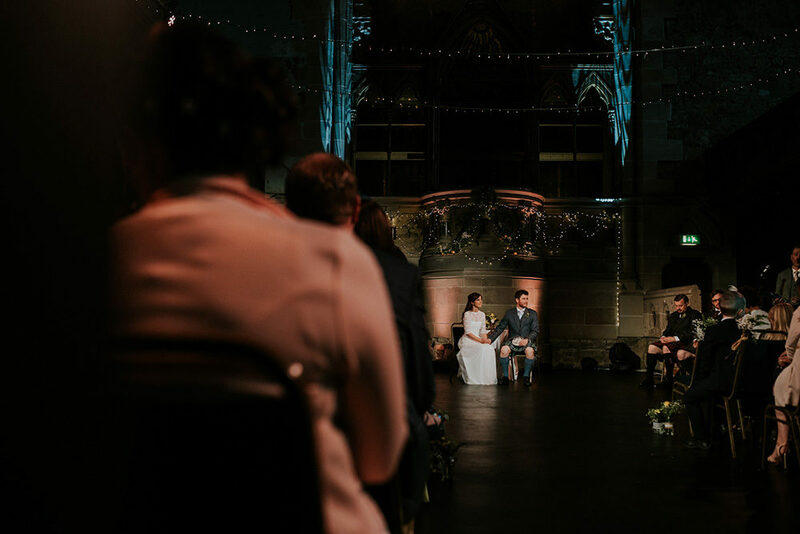 I really like this wedding with fairy lights, clean colours and beautiful, grand buildings and I am pretty sure you will too. Stripped back…. Personal…..Relaxed……Atmospheric … Minimalist… Family & Friends…. A twist on tradition… Memories… and Good Vibes. It was really important to us that all our suppliers shared these similar values. For this reason, we spent quite a bit of time researching and meeting with various suppliers and in the end, I have to say even our family and friends said that the suppliers we chose reflected us. They were all absolutely perfect and a pleasure to meet. 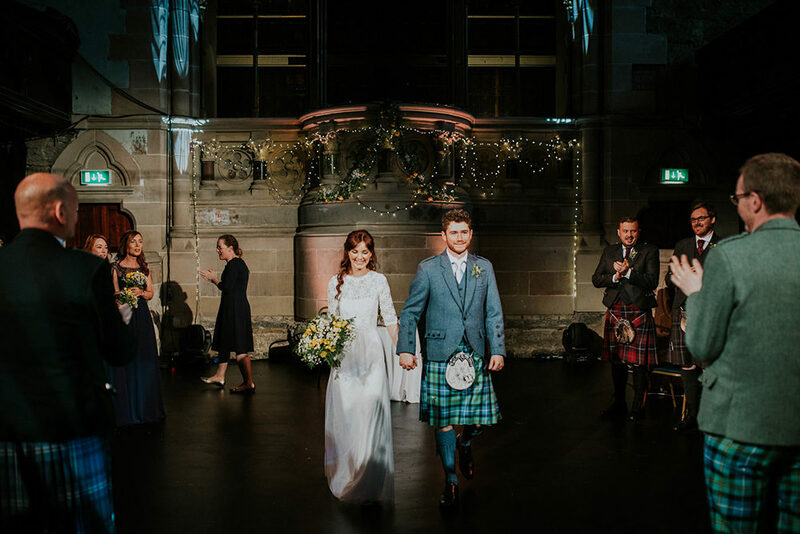 Cottiers Glasgow, was the first and only venue we went to see, as soon as we walked in we knew it was right, it was exactly what we were looking for! Laid back, simplistic, very atmospheric and relaxing. Ticking all the boxes! The fairy lights won me over as they were so dreamy. 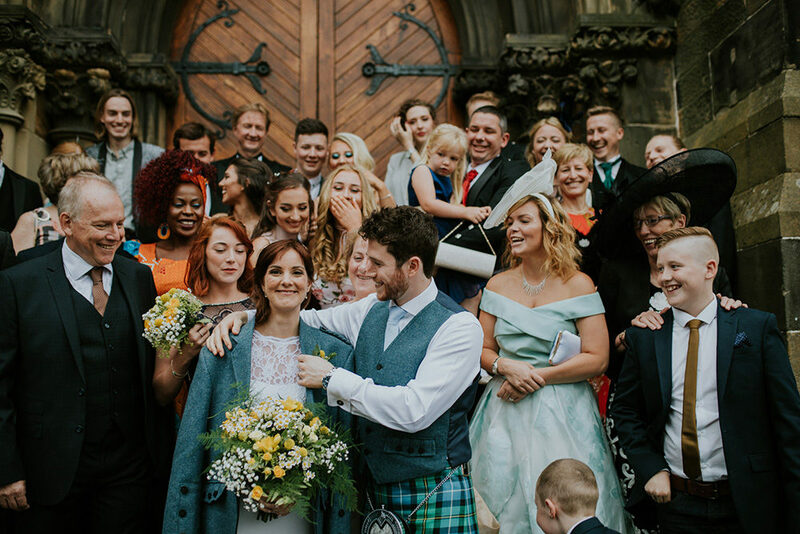 All the staff at Cottiers were super and Erin the wedding planner was fab! 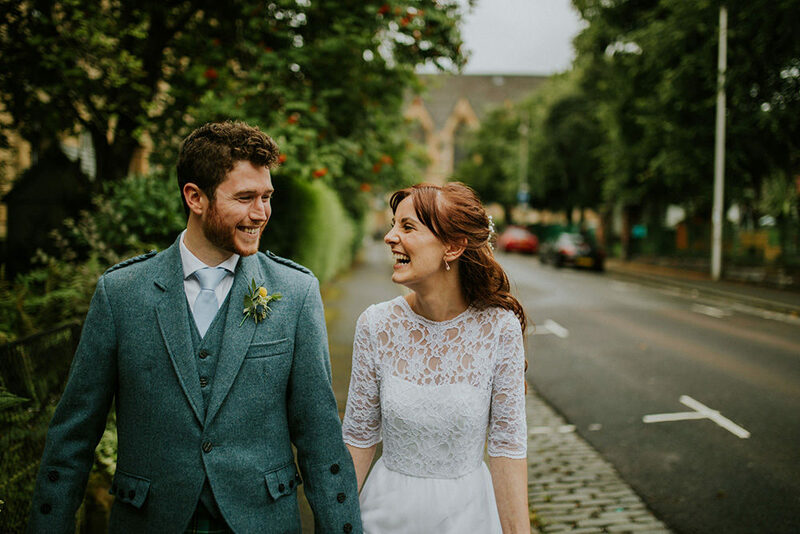 We wanted a fresh, chilled, personal and fun approach to our photos, capturing the special moments rather than posing and Ross was that guy. A belter of a guy/photographer! The idea of going to wedding shops to try on dresses was my worst nightmare, so for me, it was an easy decision to get my dress handmade. I just wanted something simple and understated, it was really great to be part of the design process and have my own input on style and going to choose the fabrics. Such a fab experience! I wore my Grans pearl earrings that my Grampa bought her with his first pay when they were dating. For the shoes, I have loved these Swedish Hasbeens shoes for ages and I wanted something I could wear again knowing that I wore them on my wedding day! Rustic, wild and natural in keeping with the theme of minimalistic and relaxed. Our bouquets were natural and flowing, we had glass jars of flowers going down the aisle, on the tables and a hanging garland at the altar. 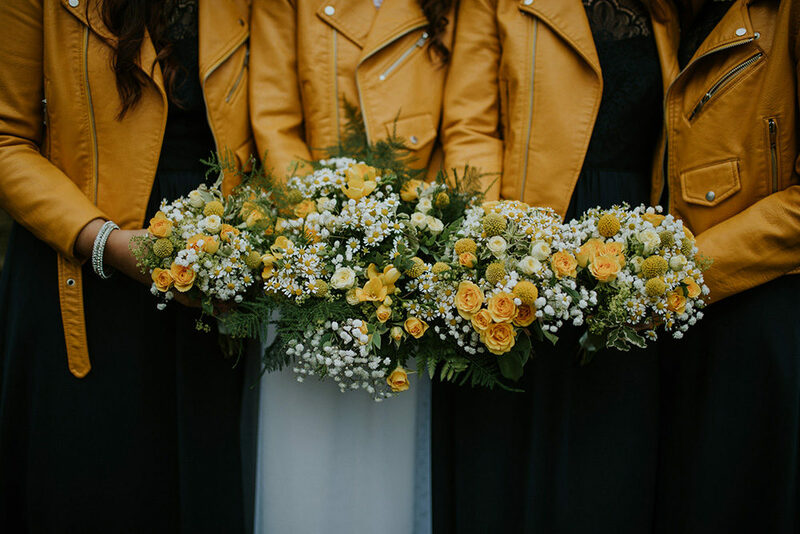 We chose gypsophila, daisies, ferns, green foliage…. thyme and some other herbs to give off a fresh and natural aroma. Lavender Blue was the most genuine, warm and friendly people who were truly passionate about floristry, an absolute pleasure to meet! All done by us, we made the table plan, name place cards and a few other bits and bobs. We bought some white paper fans from www.notonthehighstreet.com I love being creative and Pinterest definitely helped with the DIY project inspiration! Having one of the family make our cakes for us was really special and Kirsty, Ross’ sister, is an amazing baker! It meant we had full rain deciding flavour, style and decoration. We had Victoria Sponge, Lemon and Blueberry and Carrot cake – all with edible flowers and fresh fruit. Navy lace maxi dresses from Monsoon were floaty and relaxed. My nieces who were flower girls wore white floaty dresses similar to mine. 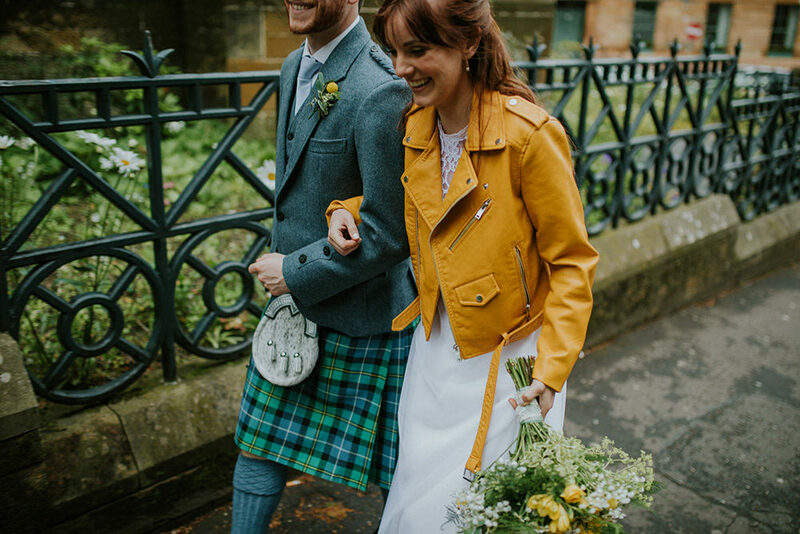 Ross wore a kilt in his traditional family tartan Ancient Mc Neil of Bara with a blue herringbone jacket and waistcoat All the men in the wedding party wore kilts or tartan trousers. Again done by us, I made the save the dates and invites on photoshop and bought some envelopes from Vistaprint with a similar floral design. I did all the calligraphy for the seating plan and place cards and bought some twigs to hang the seating plan with some fresh flowers intertwined. Day – James Barton (Grooms Cousin) Played some acoustic guitar for the guest arriving / during the ceremony. 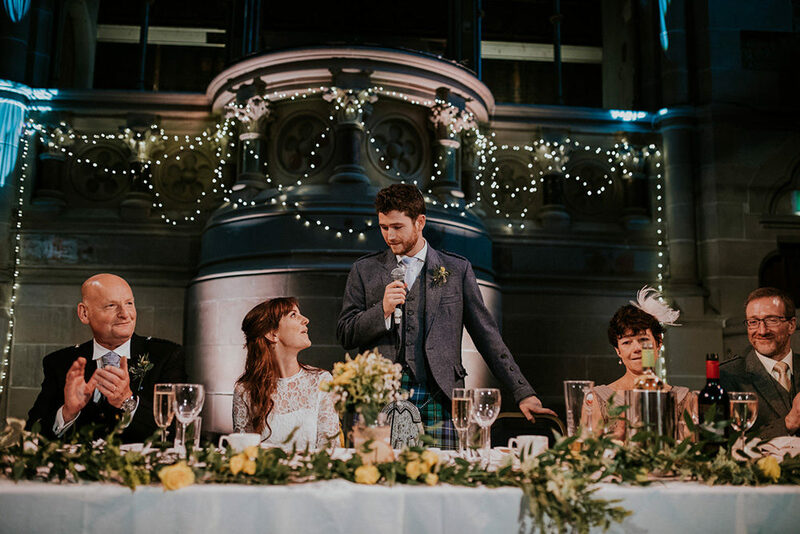 We wanted a bit of a mix, traditional Scottish Ceilidh, folk, rock and a bit of pop. We chose a Campervan from West of Scotland Wedding Cars, which was just perfect, understated, cool, quaint and retro! Our wedding day brought our families much closer together, meeting up and planning / doing DIY projects was great fun but also great to look back on and have all those memories we have shared together. Get all your friends and family involved in the day as much as you can, it makes it that wee bit more special. Personal, relaxed, minimalistic and good vibes.